Come and join us for an open, informal and free night singing. Bring your voice, bring an instrument, join in a chorus or just listen if you like. This club has been in existence officially since 2014 and comes together every last Thursday of each month. However all bars in Annascaul will break into spontaneous sing song and is encouraged. Please feel free to break out the flute, harmonica or guitar. philosophy of life inspired by belief in God and in the life, death and resurrection of Jesus Christ. The Catholic School provides Religious education for the pupils in accordance with the doctrines, practices and traditions of the Catholic Church and promotes the formation of pupils in the Catholic Faith. Forbairt Naíonraí Teo., is an all-Ireland voluntary organisation which supports the promotion of education and care services in Irish for children from birth. 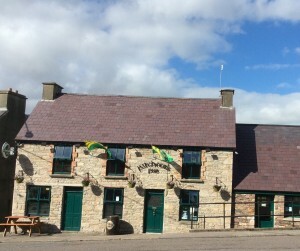 Forbairt Naíonraí Teo. (FNT), was founded in 2003 as the successor of An Comhchoiste Réamhscolaíochta Teo. The following groups are represented on the Board of Directors of FNT: Altram, Foras na Gaeilge, Gaelscoileanna Teo. and Na Naíonraí Gaelacha. FNT is grant aided by Foras na Gaeilge and the Department of Children and Youth Affairs. Cuideachta dheonach uile-Éireann í Forbairt Naíonraí Teoranta a thacaíonn le seirbhísí, cúram agus oideachas trí Ghaeilge a chur chun cinn do pháistí ó aois an chliamháin ar aghaidh. Bunaíodh Forbairt Naíonraí Teoranta (FNT) i 2003 mar chomharba ar an gComhchoiste Réamhscolaíochta Teo. (a bhunaíodh i 1978). Bhíodh An Comhchoistefreagrach as an tír iomlán ach is na ceantair lasmuigh den Ghaeltacht atá faoi chúram FNT agus is é Comhar Naíonraí na Gaeltachta an t-eagras a fheidhmíonn sa Ghaeltacht. Tá ionadaíocht ag Altram, Foras na Gaeilge, Gaelscoileanna Teo. agus Na Naíonraí Gaelacha ar choiste stiúrtha Fhorbairt Naíonraí Teoranta. Cuireann Foras na Gaeilge agus an Roinn Leanaí agus Gnóthaí Óige maoiniú ar fáil d’Fhorbairt Naíonraí Teoranta. The group meets every Monday in the community centre between 10.30-12.30. The little ones play with the toys provided then sit down and have juice and a treat while parents have a coffee and a chat! It doesn’t matter how many kids you bring there is a fee if 3 euro per family. Annascaul Parish is a grouping of families and individuals from Annascaul, Camp and Inch communities who strive to live out the Gospel message. The Gospel gives meaning, direction and hope to our lives. We believe that Christ came that we might have life and have it to the full. Mobile: 086 4563253 Fr John Buckley P.P. Annascaul GAA Club (Irish: Cumann Lúthchleas Gael Abhainn an Scáil) is a Gaelic Athletic Association club that plays Gaelic football and is based in Annascaul, County Kerry, Ireland. They play in Division 2 of the County Football League and in the County Intermediate football. Annascaul is formed by three communities- Annascaul, Inch and Camp. Camp has the proud distinction of having the most All-Ireland medals per head of population of any village in Ireland. There are reports of hurling being played in the area during the early part of the 20th century. Our Guilds range in size from a handful to 120 plus members. The beauty of the Guild format is that each Guild is autonomous, taking part in activities which interest their members. Each Guild holds meetings usually on a monthly basis, but some Guilds have additional craft classes and meet weekly. So when women enquire about joining us we always talk to them about their interests and endeavor to match them to a Guild which participates in the activities which interest them. If the first Guild you try is not for you, we are confident that we can introduce you to a Guild which will be perfect for you. Annascaul ICA Guild meet every Thursday @ 8pm in Annascaul Community Centre. Call Dora Ph. For enquiries. New members welcome. 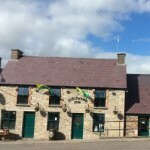 Annascaul Tidy Towns was set up to enhance our Village for residents and visitors. With a keen eye on green issues & environmentally friendly practices forth most. Annascaul Tidy Towns volunteer hour starts 7.00 -8.00 meeting at the community center every Monday evening. Let’s all work together and help make this a better year for Annascaul. Please support Annascaul Tidy Towns and help keep our village beautiful. Annascaul walks is a small friendly walking club in the heart of the Dingle Peninsula, where brooding mountains, turning coastlines and fast flowing rivers provide magnificent year round walking. The club embodies the adventurous spirit the friendly humor and the co-operative nature of Annascaul’s famous son, Tom Crean the Antarctic explorer. The club holds two scheduled walks each Sunday, meeting at Hanafins bar on the main street. We extend a warm welcome to individuals and clubs of all ages and abilities to join us on one of our walks or to follow one of the many trailed walks in the area. OUR MAIN MISSION IS TO KEEP THE PEOPLE OF WEST KERRY FIT AND SLIM WHILE HAVING FUN. We are a group of Annascaul residents who have the opportunity to build an outdoor gym, children’s playground and bowling surface in Annascaul, Co.Kerry. We are working together with South Kerry Development Partnership, Kerry County Council and we very much wish to have the full involvement of the Annascaul community. The plan is to raise funds to supplement development grants, in order to be able to provide a broad range of activity structures that will be able to fit the differing needs and levels of ability of people within the community. Lunch at Community Centre for the care of the aged every Thursday @ 1pm. All Welcome.